You have experienced that some people will look younger and have a wrinkle free face with respect to their age. Although they are crossing 50’s but there are no wrinkles on faces we could find. How is it possible? This is because there are some natural ways which makes them younger. Today, I am writing about natural ways to get rid of wrinkle free face. There are so many anti-aging skin care products which work very well, but same have so many side effects with them. Normally, Skin wrinkles will come at the end of 45 years of age. The best way to prevent wrinkles is WAZU (Ablution). As I write above that WAZU (Ablution) is the simplest process by which we can cure skin problems and get wrinkle free face. How it will possible? The answer to this is given below in details. As you know better that, first of all we wash our hands. We eat everything with the help of our hand. So if our hands are not clean, then the food which we eat will be affected. Due to this food we may ill or other skin allergies would initiate. Mouth Washing is at the second step of Wazu (Ablution). While mouth washing, you got two advantages. First one is that your mouth will clean and the eaten food is safely with respect to health point of view. Secondly, by cleaning 15 times in a day, no cavity (toothache) problem will remain. Cavities in teeth, consider main reasons behind toothache pain. Inserting water into nose holes may wash the dust particles lying on hers. Next while breathing, nose hair has the ability of cleaning the air. Repeatedly washing (05 times in a day) makes your nose completely clean and you inhale fresh air, which makes you healthier. Health is inversely proportional to your skin wrinkles. Face washing is at the fourth stop in WAZU (Ablution). Three times you wash in a single process. First time washing makes the dust particles soft. A second time will wash all that particles smoothly. While third time washing provide more glow with brightness to your face. 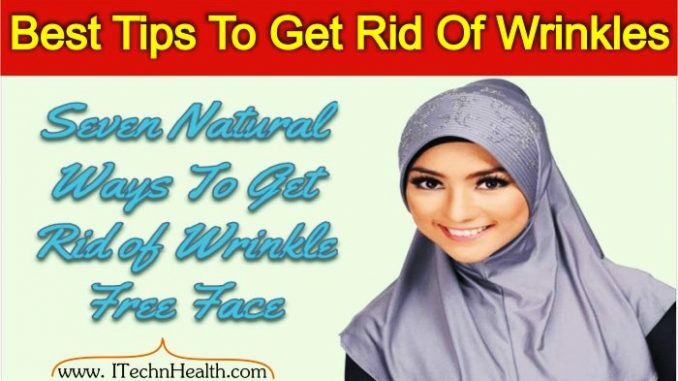 This all process will definitely cure your face wrinkles softly. Arm washing three times is also curing, you different diseases, including skin allergy problem. When the water washes the portion of skin near knee, then nerves will also awake and work better than previously. Daily fifteen times when you performed the same process, then you will feel better and healthier. The cleaning head surface will cure you and help your nervous system amazingly. The ratio of illness will automatically be reduced with rest of the nervous system. If our nervous system will work good then we may weather. Cleansing of feet has a magical connection with our health. Similarly, as other body parts if we clean 15 times daily our feet and also space between toes and fingers of feet then we will be more healthy. Just tried it all from today. This will secure you from wrinkles at the age of 50 plus. You may look younger and beautiful that time. This is 100% cost free natural way to get rid of wrinkles on the face.